Greek mythology is rich with stories that feature brave heroes, grisly beasts and ghastly villains. The tales have survived thousands of years only to face the greatest challenge of all…Hollywood. When ‘Clash of the Titans’ was released in 2010 it was the remake nobody wanted, but it was greeted with a moderate amount of success despite being a blip on the film radar. Now, in 2012 it’s time for the sequel nobody wanted – ‘Wrath of the Titans’. Set years after the events of ‘Clash of the Titans, Perseus (Sam Worthington) is trying to return to his normal life as a fisherman despite the fact that he is the demigod son of Zeus (Liam Neeson). Soon, the war between the gods and the imprisoned titans begins to intensify and Perseus must go on a quest to save the world. With its roots in Greek mythology there is a sense of wonder and adventure in ‘Wrath of the Titans’ as the heroes go on quest and encounter different monsters and god like beings. The action is a little clunky but there are decent special effects that are used to bring all different creatures and old magic to life. The performances are hammy but the actors do work from a script that features woeful dialogue and plenty of bad one-liners. It’s enjoyable watching Neeson play the powerful Zeus and Ralph Fiennes is good as the shady god of the underworld Hades. 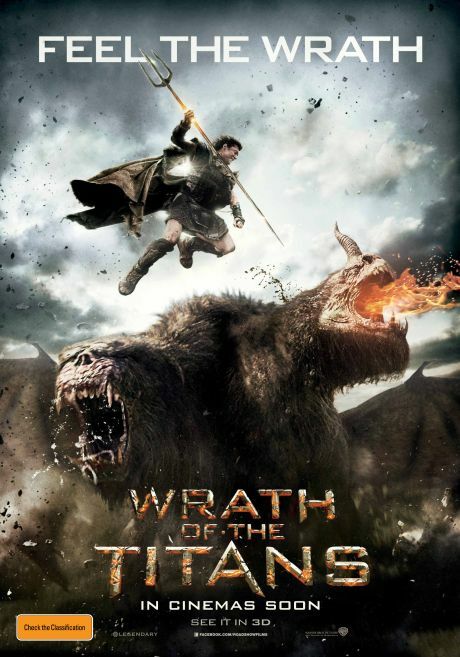 Jonathan Liebesman is a good action director but ‘Wrath of the Titans’ goes through very similar motions as ‘Clash of the Titans’ and you start to get an odd case of déjà vu. There is not much new in the sequel and Liebesman never ties enough emotion to the main characters for you to care about their peril. If you loved ‘Clash of the Titans’ then it’s more of the same in ‘Wrath of the Titans’ but nothing more.